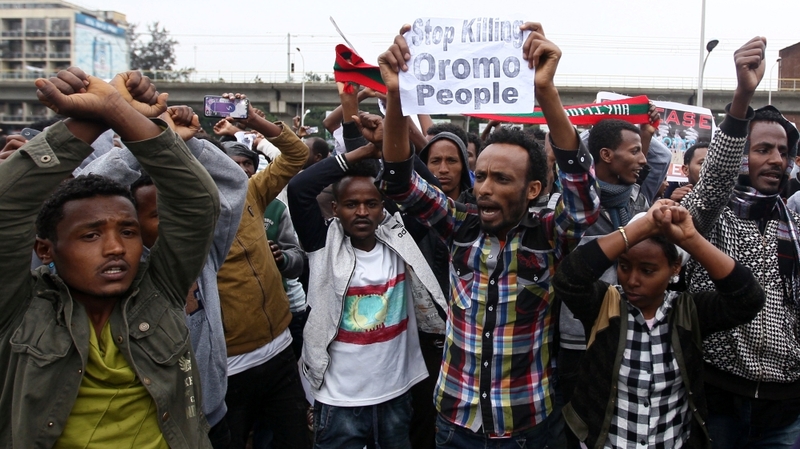 Oromo people at a protest, crossing their arms as a symbol of dissent towards the government (https://tvcnews.tv). With one of the fastest-growing economies in the world, Ethiopia was on track to construct the largest hydroelectric dam in Africa, a source of immense national pride and a milestone in development. Although the ambitious Grand Ethiopian Renaissance Dam (GERD) project on the Blue Nile had been a basis of contestation with Egypt, various tripartite negotiation talks with Sudan had been scheduled, and prospects were looking generally positive. However, on February 17th, Ethiopia’s defence minister declared a six-month state of emergency after the resignation of Prime Minister Hailemariam Desalegn. In addition to strained domestic ethnic tensions and erupting unrest over Desalegn’s succession, Ethiopia’s chaos is now spilling over onto the continental stage. For years, Ethiopia and Egypt have been nearing a water war, disputing the control of the Nile River. During the time of the Arab Spring, while the Mubarak administration had clearly been preoccupied with a populist revolution, Ethiopia began construction on the GERD. 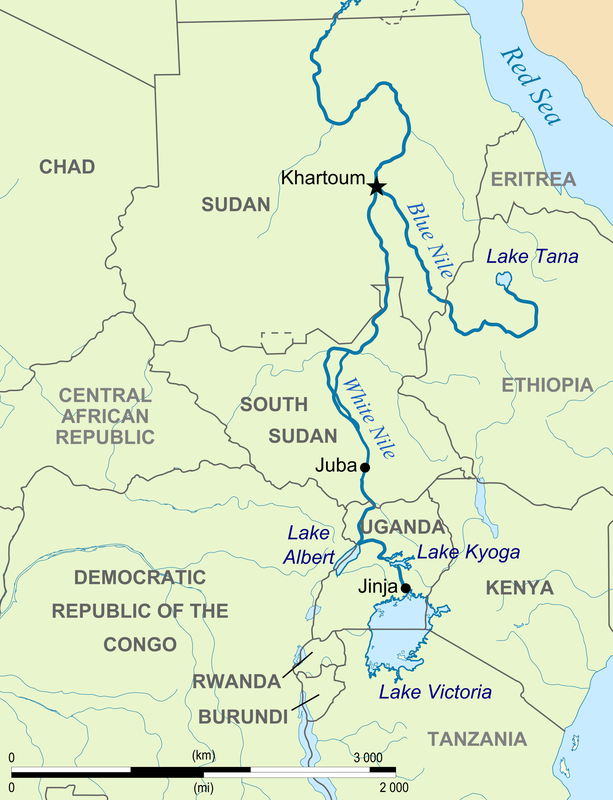 While Cairo feels threatened by the project’s danger for its own water security, the dispute has come to symbolize much more the countries’ access and supply of Nile resources; control of the river translates to regional power and status. On January 29th however, leaders of Sudan, Egypt, and Ethiopia concluded a promising set of talks that claimed to lead to fruitful discussion and a “win-win approach that will meet the aspirations of their people”. This optimism was, unfortunately, short-lived. 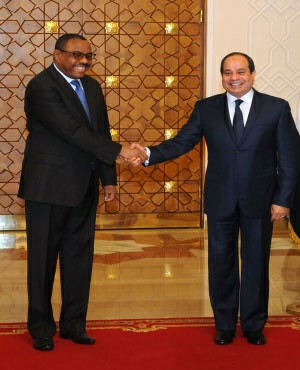 Ethiopian Prime Minister Hailemariam and Egyptian President Fattah al Sisi meet in Cairo on January 18th, 2018 (AFP Photo). In light of the state of emergency, Ethiopia requested to postpone a ministerial and technical meeting with Egypt and Sudan that was scheduled for February 23-24 in Khartoum, Sudan. While the Egyptian foreign ministry was understanding of the circumstances, it is concerning to what longevity the rescheduling will continue. The dispute is an ongoing but urgent one, the outcomes of which will affect the daily lives of millions of citizens. The reason for Ethiopia’s turmoil lies in ethnic inequality and misrepresentation within the Ethiopian People’s Revolutionary Democratic Front. The Tigrayan ruling elites, which make up only 6% of the population, have had a stronghold in the coalition in the Tigrayan People’s Liberation Front (TPLF). The Amhara and Oromo people, who make up about 65% of the population, have been continually repressed. Since the “master plan” incident in 2015 which threatened the territorial control of the two groups, the Oromo and Amhara people have over time come together to protest against the disproportionate distribution of power, and their own political and socio-economic marginalization. Mass demonstrations have grown to their largest in the last few weeks, demanding the release of opposition political prisoners who the government has promised to pardon. Among them are Andualem Aragie, vice president of the Unity for Democracy and Justice party who was jailed for treason, and Eskinder Nega, a detained journalist who was charged with terrorism and treason. The two were released on February 14th, along with 6,000 others since the start of the year, however, many key figures remain left behind. Instead of these quick concessions, the protesters’ most crucial appeals, political reforms and freedoms, must be met for lasting change. The state of emergency is, in reality, an apparatus for employing brute force to repress the uprisings, as it has been done in the past. The previous state of emergency in 2016-17 incurred human rights violations and the arrest of over 20,000 people by security forces. This is due to the Directive for the State of Emergency being very imprecise in its restrictions and instructions, which eliminates the likelihood of peaceful political activity, and increases the likelihood of the government to resort to forceful repression in order to maintain control. As protests grow, state institutions are increasingly overwhelmed, and so GERD takes the backseat. In Egypt’s view, this delay could be not all that bad. A report published by BBC mentioned Cairo as one of the top 11 cities most likely to run out of drinking water, comparing the situation to Cape Town’s extreme case. The UN alarmingly predicts shortages to occur by 2025 due to inefficient use and waste contamination. What does the GERD have to do with this? The Nile provides 97% of Cairo’s freshwater supply, 60% of which runs from the Blue Nile in Ethiopia. There is concern that once the filling of the GERD’s reservoir is initiated (officials have not made any statements regarding when or at what rate this will happen), the flow of the Nile will reduce downstream towards Egypt. Farmland and livelihoods of millions of Egyptians could suffer, depending on how fast the reservoir is filled. If done more slowly, the effects could be less drastic, but if done quickly, more water will be blocked. Once the filling is complete, the flow would return to normal; but it’s the damage done in the process that people are afraid will be long-lasting. The operating mechanism for the dam requires a set of technical studies to be conducted before the filling of the reservoir can begin. The 2015 Declaration of Principles initially outlined a political and legal framework for technical issues and studies, and after the talks on January 29th this year, the three countries set out to reinforce these guidelines, as well as the no-harm principle. As the Egypt and Sudan have publicly played up the importance of cooperation on the matter, Ethiopia is unlikely to violate the framework and start the infill prior to the completion of the studies. But, without a functioning government, there is no way to for Ethiopia to oversee who will conduct their respective studies and manage existing research undertaken by French firms. Thus, with a six-month ministerial vacancy, it could be quite a while before Egypt feels the effects of even a trial infilling. There seems to be a theme of common interests for Nile riparian countries, especially in recent celebration of Regional Nile Basin Day which was hosted by Ethiopia itself; February 22 commemorated the 1999 establishment of the commission for “sustainable socio-economic development through the equitable utilization of, and benefit from, the common Nile basin water resources”. Burundi, the Democratic Republic of the Congo, Egypt, Kenya, Rwanda, Sudan, Tanzania and Uganda were all present to show their understanding of the importance and challenges of upstream-downstream interdependencies. Map illustrating the reach of the Nile. Nonetheless, Ethiopia’s state of emergency brings a new level of ambiguity to the GERD issue. Hailemariam’s successor will have to take on a collective approach and continue strong relations with Egypt’s President al-Sisi and Sudan’s President al-Bashir, but more importantly, find an efficient way to contain protests and solve the population’s ethnic tension. Unless the Ethiopian government can mitigate unrest at home, multilateral progress on the GERD will be pretty dam slow.